Founded in Warsaw in 2014, Magda Butrym is a luxury ready-to-wear line that melds modern aesthetics with fine tailoring for garments that express individuality and eccentricity, designed for the worldly woman. Looks from Magda Butrym are romantic in a tongue-in-cheek way that suggests refined taste and a sense of humor, bolstered by craftsmanship from skilled artisans in areas around Poland. Materials range from unctuous and soft to structured and voluminous, meant to be paired for dramatic looks or combined with simple silhouettes for everyday. 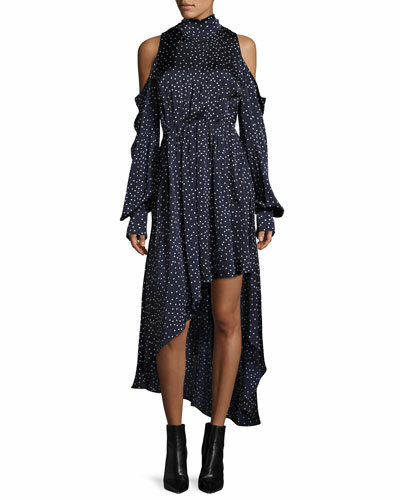 Find a curated selection of tops, dresses, and more women’s apparel from Magda Butrym at Bergdorf Goodman.